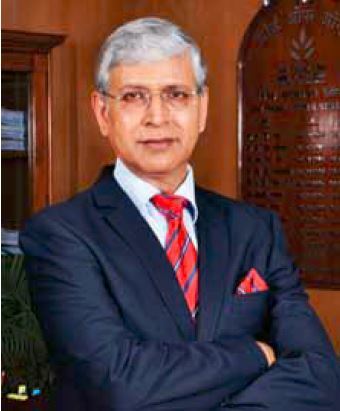 For more than four decades, National Fertilizers Limited, has been, and continues to be involved in meaningful welfare-driven initiatives that distinctively impact the quality of life in the society. We are committed to the society by taking responsibility of the impact of our activities on customers, employees, shareholders, communities and the environment in all aspects of our operations. Taking it further, we are consistently striving towards meeting the expectations of rural/underprivileged section of society by focussing primarily on children’s education, women empowerment, health and hygiene, rural development, skill development etc. We untiringly work to actively contribute to the social and economic development of the underserved communities, lifting the burden of poverty and help bring in inclusive growth while also being mindful of having a positive the impact on the environment. Environmental protection and sustainability plays a major role in our projects. We aim to conserve the natural resources for their efficient and sustainable use. In doing so, we have taken steps in the area of water conservation by renovation and maintenance of old and degraded water bodies, construction of stop dams in the severe water-deficient regions of Central India. We are also adopting a focussed approach for introduction of non-conventional sources of energy by installing solar water heating systems, solar lights and distribution of solar lanterns inthe remote and backward villages where electricity is a major problem. We recently executed several project to strengthen the Government of India’s mission programmes such as Swachhta Mission, and promotion of solar energy. We have been working for rural electrification through non-conventional energy sources. We have installed over 200 solar lights and distributed over 100 solar lanterns in the remote villages of Uttarakhand. 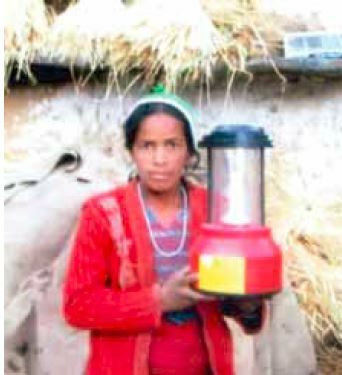 These solar lights were installed in the remote villages of Badeda, Auni, Ladadi, Talai, Ghes-Himani, Pinao and Balaan of Tehri District. Being remotely located, these villages often remained cut off from rest of the country during landslides and other natural calamities. Installation of solar lights on these roads has ensured safe movement of people during night time and infrequent attacks by animals. Inseven villages, 573 families benefitted from this CSR initiative. Over 200 LED solar lights have also been installed in Bathinda (Punjab), Nangal (Punjab), Panipat (Haryana) and Guna (Madhya Pradesh). Recently, the backward districts of Bhadohi (Uttar Pradesh) and Purnea(Bihar) also benefited from installation of solar lights. To support childcare and mother care, NFL has constructed six anganwadis in Karmakhedi, Padarkhedi, Kolua, Sada Colony, Awan and Piplya villages in Madhya Pradesh. These centres are able to serve large number of beneficiaries on a daily basis. They provide health and nutrition, education and counselling to lactating mothers and also assist Primary Health Centre staff through immunisation, health check-ups, antenatal check-ups etc. Our company has also provided two ambulances for Public Health Centres in Seppa, Arunachal Pradesh. Being a hilly region, access to healthcare services is a major challenge for the people here. There was inadequate ambulance service. The ambulances provided by NFL have helped in transporting over 165 patients and pregnant women in the last eleven months. In 2014, NFL answered the clarion call from the Prime Minister of India for taking up Swachh Bharat Abhiyan. We launched many initiatives for construction and maintenance of toilets in Government schools in many States. Under Swachh Vidyalaya Abhiyan, we have successfully completed construction of over 100 toilets in Haryana, Punjab, Himachal Pradesh and Madhya Pradesh. This has ensured safe and definite space for defecation for over 5000 students. NFL has also ensured safe drinking water by constructing water tanks for proper storage of water. We also took innovative steps in sanitation technology by constructing bio-toilets in schools in Panipat, Bathinda, and successfully undertook the project for construction of bio toilets in government schools in village Diwana and Goyla Khurd, Panipat and also in villages in Bathinda. Bio-toilets are eco-friendly, 100 percent maintenance-free, and elimination of waste is done by biological process. The objective of this CSR intervention is to make toilets available for the benefit of children, thereby qualitatively improving the learning environment. Today’s biggest challenge to Indian agriculture is increasing productivity while maintaining soil quality. Development of agriculture continues to remain critical for India’s economic growth, poverty reduction and ensuring food security as over 58 percent of rural households depend on agriculture as their principal means of livelihood. Despite significant growth in agriculture, its sustainability is threatened by declining soil quality, receding ground water table, in adequate and imbalanced use of fertilisers, increase in cost of production, input use inefficiency and information, knowledge and skill gaps. We installed the Atomic Absorption Spectrometry (AAS) equipment for free soil testing in Nangal (Punjab). This equipment is essential for micro-nutrient analysis to know the status of trace micro-nutrients in soil like zinc, boran, copper, iron etc. This facility was not available in Punjab and other neighbouring states like Haryana, Rajasthan, Delhi, Himachal Pradesh, Jammu & Kashmir. After the AAS was installed, the Nangal laboratory has started analysing the micro-nutrients for the above States. Over 1200 to 1500 soil samples are analysed with the help of the equipment. It has also contributed to soil analysis, which in turn helps the farmers understand the quality of soil and volume of produce that their land can generate. The AAS equipment is a durable infrastructure and will continue to benefit the Soil Testing Laboratory of NFL for an extended period. Soil testing has become imperative to provide an accurate assessment of the soil’s fertility status enabling appropriate fertiliser-use recommendations. Balanced fertilisation is normally defined as the timely application of all essential plant nutrients (which include primary, secondary and micronutrients) in optimum quantities and in the right proportion through the prescribed method, suitable for specific soil/crop conditions. 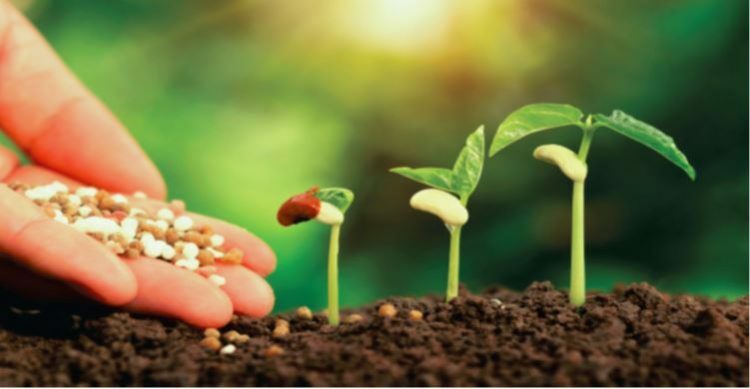 Components of balanced fertilisation include judicious use of chemical fertilisers based on deficient soil nutrients as established by soil testing in conjunction with other sources of plant nutrients such as organic manures and bio-fertilisers. Over 11.6 million hectares of low fertility soils have been affected by imbalanced and excessive use of chemical fertilisers and lack of organic manures. It is estimated that there is a shortfall of six million tonnes of organic manure a year. Maintaining soil health has become crucial for a sustainable green cover. We are aggressively promoting the use of compost in our adopted villages, and in the process, lending impetus to the Swachh Bharat campaign. Unlike fertilisers, the use of organic material has not increased much in the last two to three decades. The estimated annual available nutrient(NPK) contribution through organic sources is about five million tonnes, which could increase to 7.75 million tonnes by 2025. Thus, organic manures have a significant role to play in nutrient supply. In addition to improving the soil’ physio-chemical properties, the supplementary and complementary use of organic manure also improves the efficiency of mineral fertiliser use. Composting can be the appropriate solution to contribute towards organic manure demand keeping in view the substantial quantity of farm/cattle waste available at rural areas. Composting is one of the biological processes for recycling of organic waste and can be defined as a method of biological decomposition, where organic material decomposed to a stage that can be handled, stored and applied to land without any environmental impact. During composting, organic residues are decomposed under controlled conditions (temperature, moisture and aeration). In addition, extensive microbiological and chemical transformations are involved in the composting process. Composted organic material can be used as a source of important nutrients for sustainable crop productivity. The composted organic wastes cannot only act as supplement to chemical fertilisers, but may also improve the organic matter status and physicochemical properties of the soil. At the present production level, the estimated annual production of crop residues is about 300 million tonnes. As two-thirds of all crop residues are used as animal feed, only one-third is available for direct recycling (compost making), which can add 2.5 million tonnes/year. Keeping in view the insignificant availability of crop residues for composting purpose, there is an urgent need to think of an alternate available source of compost. Due to increasing urbanisation, a lot of city waste is available to convert it into compost. Urban India is the world’s third largest generator of garbage and almost 70-75 percent of which remains untreated. India’s 35 largest cities alone can provide 5.7 million tons a year of organic manure if their biodegradable waste is composted and returned to the soil. While the Government looks for solutions to meet the goal of a Swachh India by 2019, we at NFL, came forward with a solution through our marketing as well as CSR efforts. City Compost produced out of urban waste can fulfill this need and solve problems of man-made barren land and organic nutrient shortages. At NFL, we are promoting City Compost made out of municipality waste as an organic source of nutrient. Conversion of urban waste to city compost is considered an optimum solution to meet the objectives of disposal of waste and providing an organic fertiliser for agriculture in addition to reducing harmful methane emissions. Use of compost also helps in conserving topsoil and increases its water holding capacity in addition to many more other benefits. Neem-coated urea has become increasingly popular among the farmers because of its higher yield andanti-pest qualities. In compliance with the government’s policy, we are producing this variant of herbalisturea at all our plants. 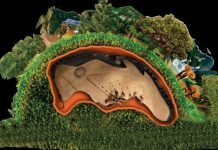 Soil Health Management through CityCompost, is providing a twin solution to problems of solid waste and deterioration of soil health. We started this project in 2016, and after experiencing positive outcomes, we are continuing it in the third year for sustainable results. City Compost is a good source of carbon and also contains essential plant nutrients, though in small quantities. With Indian soils being critically low in carbon content, application of organic fertilisers is amust for increasing farm productivity and also improving the efficient use of applied fertiliser-nutrients. In May 2016, we adopted ten villages, five each in Haryana and Madhya Pradesh for the City Compost project under CSR. These villages are in District Nuh (Mewat), Rohtak, Haryana, and in Indore, Dewas and Dhar districts of Madhya Pradesh. Nuh (Mewat) is also an aspirational district and in dire need of development; therefore, the same was selected to undertake the project. A detailed survey of the villages Tai, Tapkan, Chhapera and Nallad in Nuh(Mewat) revealed that the region lies in the semi-arid zone and is majorly inhabited by Meo Muslims. Water is scarce in the region and consequently rain continues to be the major source of irrigation. Despite harsh climatic conditions, agriculture is the major livelihood option. Furthermore, due to cultural practices, farmers in Nuh use traditional farming techniques. The soil of Nuh (Mewat) is light in texture, particularly sandy, sandy loam and clay loam. The upper hills are mostly barren. In terms of several vital socioeconomic parameters, the Nuh (Mewat) district falls way behind other parts of the country, despite being part of prosperous Haryana. The major challenge while starting the project was the negative reaction of farmers due to their past experience of inconsistent appearance, bad odour and contamination of inert materials in the City Compost. Farmers had the impression that City Compost also contains heavy metals (i.e., lead, nickel, cadmium, arsenic etc. ); the long-term use of which might create toxicity in crops, cattle and ultimately in humans. The farmers said that there were no immediate visible effects of using City Compost like those seen with application of nitrogenous fertilisers. Since city compost contains very low percentage of available nutrients, visible effects on crops couldn’t be seen in short duration. Farmers looked for immediate results as they were ignorant of long-term impacts. Therefore, the first action taken was to change the rigid mindset of the farmers regarding City Compost, which was done through a series of awareness programmes. During these programmes, the process of waste to compost and benefits of compost was explained in depth by the agricultural scientists and specialists. Active participation and involvement of farmers was ensured throughout the project. Various training and educational programmes, soil health campaigns, afforestation activities were organised in the villages on a regular basis. 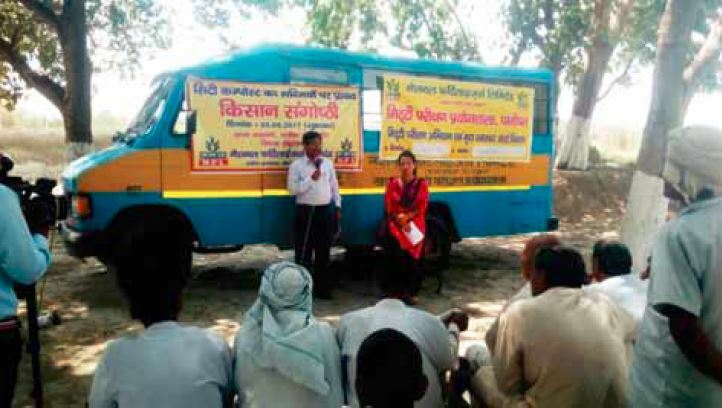 To provide free of cost soil testing facility to the farmers, a Mobile Soil Testing Van was stationed in the adopted villages. Crop-wise fertiliser recommendations were given to the farmers in the form of Soil Health Cards and information on use, and benefits of City Compost was also provided in the form of pamphlets etc. 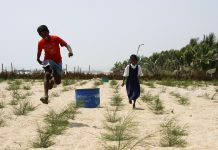 Through these educational initiatives,farmers were finally convinced and satisfied and started using City Compost on some crops, especially vegetables, on an experimental basis. The experience and observations of the farmers with the use and advantages of City Compost was suitably captured at various stages of the project, and success stories were documented which highly motivated the farmers. A recommended dose of City Compost @2.0 MT/acre was applied in the block demonstration area in addition to the farmer’s existing practice. The findings from block demonstration area were compared with the farmer’s own practice of fertiliser application where he did not use the City Compost. On the basis of results obtained from the trials conducted during 2016-17 and 2017-18, City Compost showed a good impact on wheat, mustard, jowar and vegetable crops. 8-12 percent yield increase was observed as compared to the farmer’s own practice. The project is being continued for 2018-19 as a three-year long-term project. After completion of the project, yield data will be analysed further to understand the usefulness of long-term application of City Compost on various crops and propagate/promote the scientific use of city compost as an organic fertiliser/soil conditioner. Our intervention in the villages generated a great awareness of compost among the farmers. Farmers were highly convinced and excited with the impact of City Compost on various crops and soil properties. As a result, some progressive farmers of the adopted villages also applied City Compost in some crops, especially vegetables, and got a positive response in terms of yield and quality. The project’s obvious success in terms of acceptability of compost by farmers and its positive outcome in terms of increased farm yield is very encouraging. The project can be replicated anywhere in the country. It can successfully address the twin problem of waste management and insufficient availability of organic fertilisers in India. The need of the hour is to provide easy availability of compost to farmers and information on its usage to make it effective and sustainable. Israil from Tai village in Nuh District is the owner of 10 acres of farmland. He mostly depend on rainfall for farming. He grows wheat and mustard in rabi season and rice in kharif season. The rain shortfall in the last few years has brought down the reduction in crop productivity. But now, Israil happily shares that after the use of City Compost provided by NFL, he has been able to reap better output from wheat despite insufficient rainfall. Like many other farmers in Nuh (Mewat), Israil has gained from the knowledge given by NFL staff about benefits and usage of City Compost. His apprehensions about the use of compost were well-catered through training programmes organised by NFL. In addition, the benefits of compost were demonstrated through actual usage in block demonstration farms. 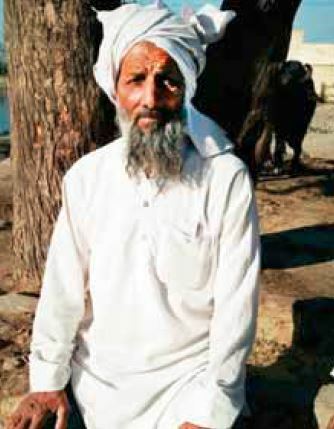 Earlier, Israil would use cow dung as manure, but it’s shortage put him in great difficulty. He is now happily adapting to City Compost after realising its benefits. In 2017-18, Israil used two tonne per acre City Compost in wheat (WH 711) crop. He experienced a very positive outcome in terms of germination, growth, overall health and quality of his wheat crop. This result came despite lower rainfall. A yield of 23.60 quintal/acre was reaped with the use of City Compost as against the yield of 18.40 quintal/acre without using City Compost. This shows an increase of 22 percent in total production. Impressed with the results of City Compost, Ismail shares his experience of its benefits with other farmers in the village. Indeed, a happy and contended beneficiary thus becomes a mouthpiece of good work. Long term project was planned keeping in view the fact that effect of organic fertilisers (City Compost)cannot be observed immediately. The concept of seeing is believing was adopted by carrying out block demonstrations in the 50 acre area of each village. A two-way approach was followed:(i) Changing the rigid mindset of farmers towards City Compost usage(ii) Generating awareness regarding use and immense benefits of City Compost on the soil and on crops. Regular participation of farmers was also ensured by organising farmer meetings/training programmes on regular intervals, and by inviting agricultural scientists and specialists. City Compost and technical knowledge was provided to the farmers for three consecutive years, which helped them in adopting the same. Regular follow-up and feedback of the farmers at different stages during the project period was also ensured. Integrated development of adopted villages was also ensured by carrying out other developmental activities like tree plantation, free of cost soil testing, soil health cards, construction of bio-toilets in government schools, awareness campaigns, etc. National Fertilizers Limited has always recognised the responsibility towards the wider farming communities it operates in, and we have been carrying out various activities to educate and facilitate farmers. We intend to carry out developmental activities under CSR interventions to maintain soil health by soil testing based on a balanced and integrated nutrient management encompassing judicious use of fertilisers in conjugation with organic manures, bio-fertilisers etc. 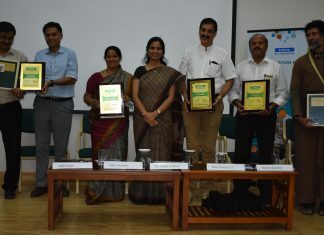 Adopting the Integrated Plant Nutrient Management (IPNM) for use of valuable city compost along with synthetic fertilisers will generate enormous national savings for the prosperity of India’s farmers as well as the cleaning of urban India. 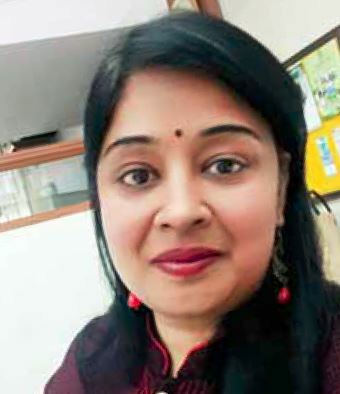 Mukta Agarwal is Manager – Corporate Communications & CSR Nodal Officer, National Fertilizers Limited.